It is no secret that online marketing is an extremely valuable skill and certainly in high demand for everyone from giant e-commerce companies to small service providers. However, we are frequently surprised to find out how few online marketers utilize sales lead software to generate and sell leads in real-time. Utilizing your online marketing expertise to drive traffic to your individual clients is great, but is it really your greatest profit opportunity? Today, we introduce another option that you just might want to explore. At boberdoo, we have long-stressed the advantage that running generic lead generation campaigns gives online marketers. In short, running generic lead gen campaigns and utilizing sales lead software lessens the impact that individual clients have on online marketers’ revenue potential. If you are looking to scale up your online marketing business or determine exactly how profitable it can be, now might be the time to start running generic lead gen campaigns. Running and automating a successful lead generation company is easy with the right software. The “right software” caveat is an important one. While it might be possible to run proprietary marketing campaigns for individual clients without any special software, generic lead generation (and the automation it affords) requires a specific set of tools. 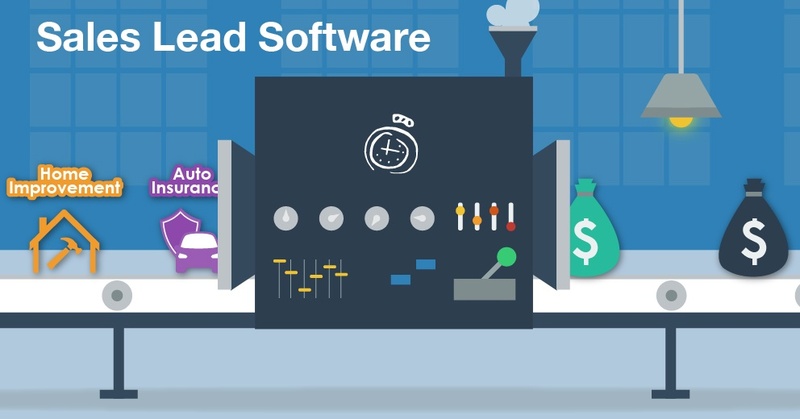 Sales lead software allows online marketers to automate their income by capturing, tracking, routing and billing for every lead they generate in real-time. In essence, you generate the lead and your sales lead software does the rest by utilizing automated business rules that you create. If you are running a successful online marketing business by running proprietary campaigns for individual clients, it would be hard to overhaul your business model in hopes that you can increase your revenue. The beauty of online marketing and lead generation in general, is that you don't have to. We have worked with dozens of clients that started generic lead generation in order to supplement lulls in business. If you are generating leads or driving traffic for an auto-insurance agency, for example, you could easily utilize your research and expertise to also run generic lead gen campaigns in the health insurance vertical to supplement your income and measure exactly how profitable it can be. At boberdoo, we have been helping online marketers build and grow their lead generation businesses since 2001. We have seen just how profitable lead generation businesses are and continue to improve the sales lead software that allows lead businesses to flourish. If you are interested in learning more about boberdoo's sales lead software or find out exactly what it takes to run a lead generation business, please give us a call at 800-776-5646 or fill out the form below.